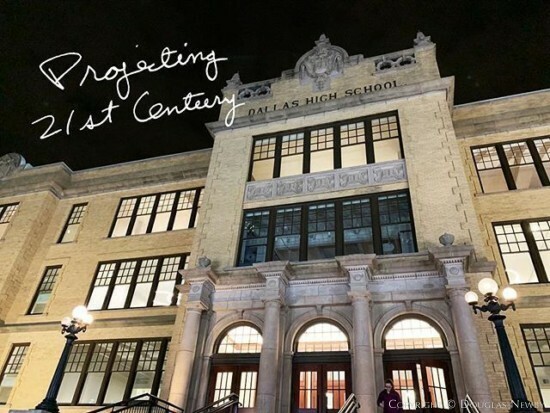 The original 1908 Dallas High School renovated building projects and promotes preservation, learning, and the 21st century. Architectural firm Perkins & Will is the perfect lead tenant for this building, inspired by Design Director Ron Stelmarski. Perkins & Will permeates Dallas with good design emphasizing human sustainability. A central space in their office has been dedicated for lectures, talks, and forums. Recently, the Dallas Architecture Forum presented speakers Charlotte Jones Anderson, architect Bryan Trubey of HKS, and Byron Chambers of Populous to discuss the future of stadiums. It came to my mind that 21st century sports stadiums, like the Dallas Cowboys’ Stadium, invoke the awe generated in the past by World Fairs. These stadiums combine primitive entertainment, technological breakthroughs and the shared experience of diverse groups. Stadiums become the laboratory and launching pad for innovations in many aspects of our lives. Stadiums are our cultural throwback and our future.